Count forest creatures in the Gruffalo’s wild world. This chunky first numbers book is perfect for small paws. Step back into the magical Deep Dark Wood and count the things you spot. One hairy Gruffalo. Three pretty butterflies. Four spotty toadstools. Axel Scheffler’s lovely pictures are a delight. 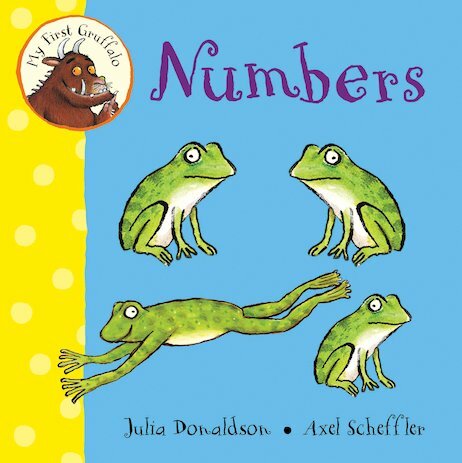 Lovely colourful book to introduce numbers to my child.